Virginia Beach Garage Door Pros provides high quality garage door repairs and installations to both residents and commercial property owners in Norfolk, VA. We also offer repairs and replacements on automatic door openers. If you decide to upgrade your current garage door, you’ll also want to take a long hard look at your current opener. Similar to the door itself, a garage door opener breakdown is frustrating and can bring life to a halt. Customers just want the opener fixed as soon as possible without a deep dive into the various models and parts of each type of opener. We know that the complexity of options and whether a professional installation should be used for replacements is an important decision not only in terms of cost, but also for the long-term welfare of your home or business. The most important determination in a garage door opener breakdown is whether the current unit can be repaired or if a new opener needs to be installed. Working with our staff, you’ll get an honest quote with a service guarantee. 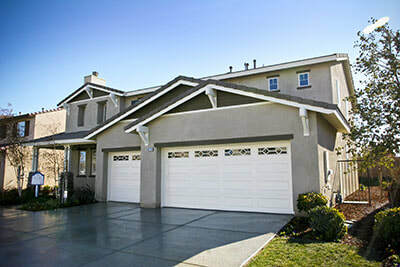 Our company has been helping clients avoid common pitfalls with garage door openers for years. As a family-owned business we treat each breakdown as if it happened to someone in our family and are confident our first call will be the start of a long-term relationship servicing and supporting your home or business garage door upkeep. Before we provide you with the options for new openers, we’ll encourage you do some research about your current opener. For example, we may ask you what is your door opener's level of power? Is it 0.5HP or 0.75HP? Many garage door openers out there make use of the 0.5 variant as it is powerful enough to do the job. If you have a properly balanced door with a weight between eight to ten pounds, the 0.5HP is enough to lift it up. This is just one of the many things we’ll need to know when helping to determine the best opener model for your needs. In our experience, some homeowners and business owners attempt to replace their garage door openers themselves. Indeed, some hardware stores carry a limited number of replacement models available for self-fixes. We don’t advise this, though, and recommend the use of a professional installation service. Attempting to self-install a new garage door opener has resulted in frustration and ultimately a call to us for many customers. There are many parts to a garage door opener from belt drives, to gears and electrical components. Our certified technicians have been installing garage door openers for years and are accustomed to dealing with any type of opener or component. We will be able to enter your garage and quickly determine what product will best fit your home or business garage. 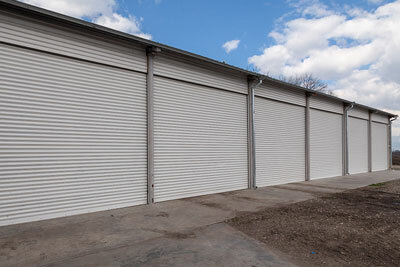 Luckily, this in just one of many examples of the different features of your garage door that we can help with. For more questions about replacing your current overhead door or your automatic opener in Norfolk, VA, contact our team at Virginia Beach Garage Door Pros. We're available for repairs and replacements, along with brand new installations. Call our team today to set up a consultation!